Funeral Services will be held at 3:00 PM Thursday, April 4, 2019 at Palestine United Methodist Church. Rev. Kevin McCormac, Rev. Carroll Flack and Rev. Boyd Joyce will officiate and interment will follow in Palestine Cemetery. The family will receive friends one hour prior to the service at the church. Mrs. Simmons was born April 2, 1938 in Robeson County to the late Joe and Annie Stone Herring. 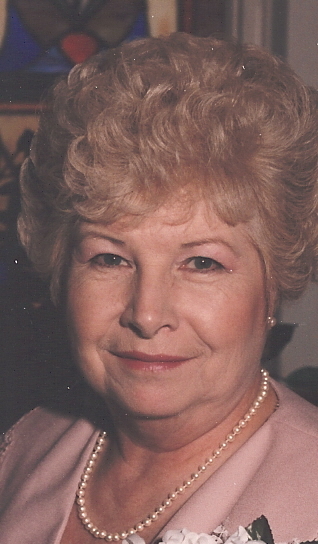 She was President and Secretary of the Ambulance Service of Stanly County. She and her husband Alton operated the Ambulance Service in Stanly County from 1973 until 1989. She was one of the founders of the Palestine Christmas Parade in 1981, a tradition that will carry on for years to come. LaVaughn was known as a great cook and operated Nick’s Café and Vaughn’s Putt Putt in Palestine for many years. She was preceded in death by her husband Alton Roger Simmons, her son, Keith Roger Simmons, her daughter, LaVaughn Annette Simmons and seven brothers and sisters. Survivors include her daughter Cynthia Simmons Hurley and her son Tim Simmons and wife Tammy all of Albemarle. Two sisters, Carol Hall of New London and Sandra Horne of Fayetteville. Seven grandchildren and thirteen great-grandchildren. Memorials may be made to Community Home Care and Hospice, 348 N. Main Street, Troy, NC 27371.